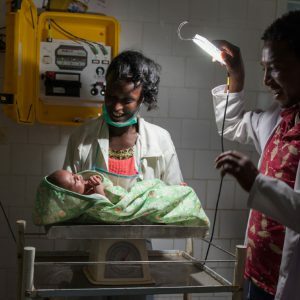 Part of achieving universal health coverage, a key element of the Sustainable Development Goals (SDGs), means ensuring that everyone has access to quality healthcare, including maternal and child health services, yet not enough attention is being given to healthcare’s reliance on energy. 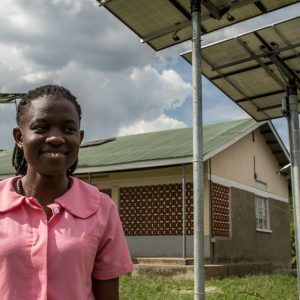 Energy is a vital enabler of healthcare delivery, and clean, distributed energy solutions are particularly well-suited to address the needs of health facilities in rural and off-grid areas. Women in developing countries are 300 times more likely to die from childbirth than women in developed countries. According to estimates by the World Health Organization (WHO), in 2015, approximately 830 women died every day due to complications during pregnancy or childbirth; 99 percent of these deaths occur in developing countries. Adding to the tragedy, most of these maternal deaths occurred in low-resource communities and could have been prevented.